Dr. Antal [Robert Black Fellow] aims to develop ways to increase the efficacy of pancreatic cancer chemotherapy. The reason for pancreatic cancer drug resistance is the presence of a dense, supportive tissue surrounding the cancer cells. She is using multiple high-throughput approaches to identify and target key genes within this tissue in order to reduce its supportive role. This work will aid in developing therapies to increase the delivery of the chemotherapeutic drugs to the tumor, allowing immune cells to infiltrate the tumor and kill cancer cells. Project title: "Stromal reprogramming as a therapeutic approach in pancreatic cancer"
Despite our best current treatments, 95% of patients with pancreatic cancer, including those at the earliest stages, die within 5 years of diagnosis. By 2020, pancreatic cancer will become the second leading cause of cancer-related death in the U.S., and new therapies are urgently needed. T cells are highly specialized cells of the immune system designed to protect the human body from infections and cancer. Very few T cells recognize pancreatic cancer; however, recent work showed that these T cells play a very important role in controlling the spread of pancreatic cancer. Patients whose tumors have higher proportions of T cells survived over 3-times longer than patients who did not. Vinod’s group has unique access to these extremely rare patients that survived on average 6 years with pancreatic cancer and whose tumors have 12-times as many activated T cells as patients who have more typical poor outcomes. He has discovered that their exceptional survival is linked to T cells recognizing novel cancer proteins that make these cancers resemble infections. 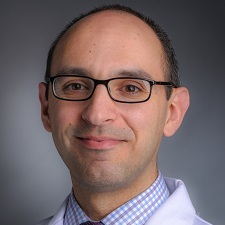 His research will focus on understanding these unique cancer proteins in long-term survivors, with the goal of developing novel immunotherapies to treat all patients with pancreatic cancer. Project title: "Defining the evolutionary dynamics and antigen potential of neoantigens for human pancreatic cancer immunotherapy"
Dr. Banh is focusing on the role of sensory neurons in promoting pancreatic tumor growth. Interestingly, most pancreatic tumors display increased number of sensory nerves, which cause pain in patients. 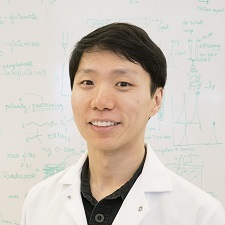 Dr. Banh hypothesizes that sensory neurons may metabolically support pancreatic tumor growth in nutrient poor environments by directly releasing nutrients or by changing the cancer’s nutritional demands. Elucidating this crosstalk in regulation and function will help gain insight into the contributions of neurons on the development of pancreatic tumors, and potentially other cancers, with the ultimate goal of identifying novel treatment strategies. Pancreatic cancer may soon become the second leading cause of cancer deaths in the nation. While many cancers have mutations that can be targeted with specific drugs, historically no such targets had been recognized in pancreatic cancer. This changed recently with the discovery that approximately one of every four pancreatic cancers has a defect in the machinery that repairs DNA damage. For example, some have been found to have mutations in the BRCA genes as well as other similar genes involved in repairing double-strand breaks in DNA. Because BRCA-mutant cancers have impaired DNA damage repair, they rely on backup DNA repair systems to survive. Other tumors with BRCA mutations are particularly vulnerable to certain drugs: having such a mutation is an Achilles' heel for the tumor. If the relevant backup systems in these cells can be identified, we can potentially use these dependencies against the tumors. One example of a backup system, the PARP DNA repair system, is currently being targeted in clinical trials in BRCA-mutant pancreatic cancer. Dr. Carnevale aims to uncover multiple vulnerabilities in these cancers that can be targeted with higher efficacy than PARP inhibitors. There may also be candidates for PARP inhibitor combination therapies to more potently eradicate these tumors and/or avoid the development of resistance. She will use a novel screening technology called "CRISPRi" to conduct a genome-wide unbiased exploration for drug targets in pancreatic cancer with DNA-damage repair deficiencies. Any top targets will be prime for translation into an early phase clinical trial for pancreatic cancer patients. Project title: "Developing new therapeutic approaches for pancreatic cancer with homologous recombination repair defects"
Dr. Johnson is studying how genome rearrangements occur in cancer, using artificial pancreatic cancer organoids—clusters of cells that act as a model system. Cancer cells have unstable genomes that mutate and rearrange at a high rate compared to normal cells. Ultimately, Dr. Johnson hopes to understand how genome instability may be exploited to improve cancer treatments, including immunotherapy. 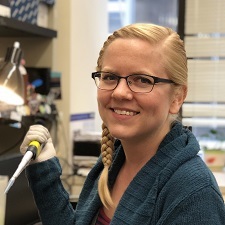 Dr. Leppek [Layton Family Fellow] aims to combine RNA and ribosome biology with developmental biology to investigate how cells regulate protein synthesis through a process called translation. This process requires regulatory mechanisms to fine-tune when and where genes are expressed. Defective expression of certain genes gives rise to uncontrolled growth and metastasis of cancer cells. She will identify and characterize molecular components that play a functional role in mediating translational control during embryogenesis. This will be invaluable for our understanding of how deregulation of accurate gene expression underlies human diseases such as cancer. Project title: "Mechanistic characterization of 5’UTR RNA elements that confer translational specificity to shape vertebrate embryonic development"
Dr. Mancias is exploring the synergistic interactions between radiation therapy and targeted immunotherapy in patients with pancreatic cancer (pancreatic ductal adenocarcinoma, “PDAC”). While this treatment combination has shown dramatic benefits for patients with certain cancer types, it has been challenging to predict which patients will respond and to determine how to harness the anti-tumor immune cell effects of radiation. 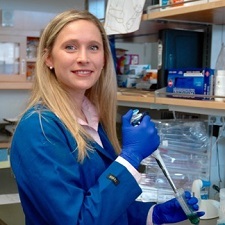 Identifying the PDAC radiation-induced antigens will shed light on the interaction between the immune system and radiation and provide the basis for designing effective immunotherapies for patients with pancreatic and other cancers (such as glioblastoma, prostate cancer, breast cancer, lung cancer, head and neck cancers, pediatric cancers). Cancer cells have a unique ability to rapidly and efficiently remodel their internal composition and metabolic pathways in order to maintain accelerated growth, metastasize and resist anti-cancer therapies. The lysosome, an organelle in the cell that degrades cellular debris, has the ability to control a cancer cell's adaptability. Through processing and recycling different macromolecules, the lysosome serves as an important source of fuel for cancer cell growth and spare parts for remodeling the cell. Dr. Perera is focusing on pancreatic ductal adenocarcinoma (PDAC), which is highly dependent on lysosomes for growth. 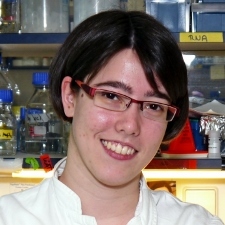 She has characterized cancer-specific lysosomal proteins and showed that these proteins confer PDAC cells with two key properties: the ability to rapidly repair their membranes in the face of sustained mechanical and chemical insults, in order to maximize nutrient uptake, and to alter their cell membrane composition to evade recognition by the host immune system. Collectively, these results suggest largely unexplored roles for the lysosome in PDAC and highlight novel vulnerabilities that could be exploited therapeutically. 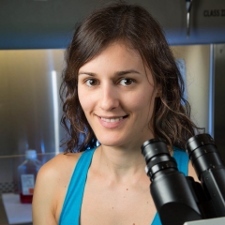 Project title: "Mechanisms of cellular transformation at the single organelle level"
Dr. Sivanand aims to study how metabolic alterations impact pancreatic ductal adenocarcinoma metastases. Pancreatic tumors primarily metastasize to the liver and the lung. It is known that genetics, tissue of origin, and tumor microenvironments can impose metabolic demands on cancer cells. However, it is unclear whether primary tumors and associated metastases during disease progression are metabolically different. 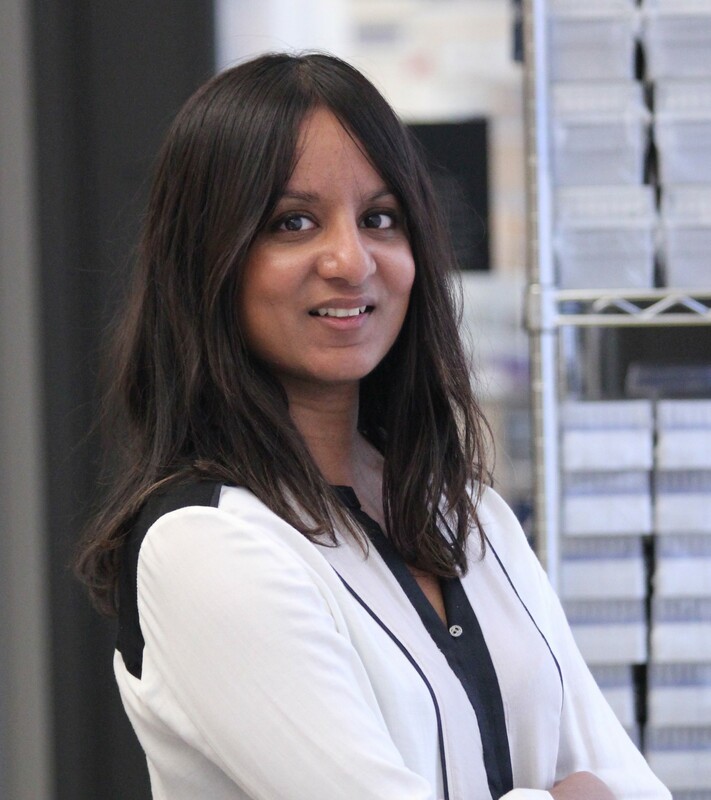 Her research will provide insight into metabolic demands of tumors originating in the pancreas and identify metabolic liabilities that may restrict metastatic growth to certain tissue types. 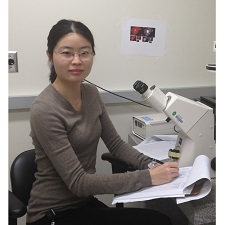 Project title: "Understanding metabolic heterogeneity in primary and metastatic tumors"
Dr. Tian studies pancreatic ductal adenocarcinoma (PDAC). PDAC is characterized by an extremely stiff texture, which is caused by accumulation of excessive extracellular matrix (ECM). The compositions of ECM, known to have major effects on tumor progression, are not well understood in PDAC disease. 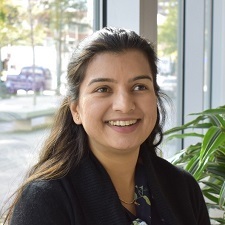 She aims to identify global ECM changes during PDAC progression by proteomic approaches, and to investigate how these changes impact cancer progression. The uncovered ECM of PDAC will provide novel insights into diagnosis, prognosis and treatments of this very difficult disease. Project title: "Understanding the roles of extracellular matrix proteins in pancreatic ductal adenocarcinoma progression"